Designed years ago, MIS had outgrown their previous materials and needed to address their brand, position and messaging. They needed a presence that would elevate key messaging about the organization and convey what makes it special and unique – not just a imaging services provider but a partner to their clients. Molecular Imaging Service's marketing materials were due for a redesign and we were excited to build the partnership to give them a new, updated and modern set of materials such as patient brochures, tradeshow booth and much more. 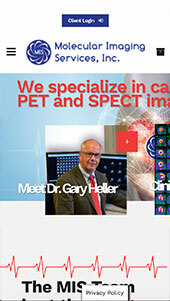 Molecular Imaging Services is leading nationwide imaging services company with over 65 years in the industry. 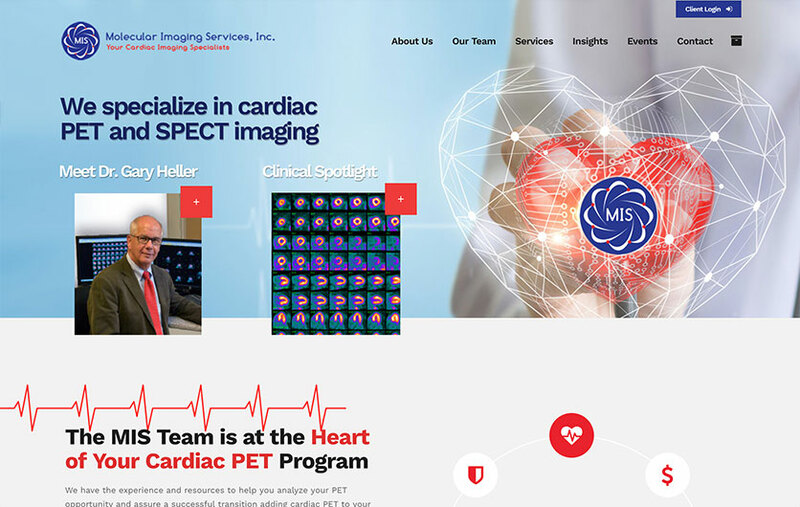 Their top-nothc team brings experience and expertise to practices with a focus on innovative technologies that can have a major impact on patient and practice management such as Nuclear Cardiology, CT, PET and MRI. Molecular Imaging Services, Inc. MIS is committed to delivering high quality services to our clients which is proven by their high client retention rate. With a cutting-edge design, the new materials more strongly resonates with their clients and validates the team as industry experts focused on the clinical advantages of PET today while preparing for the future isotopes in the developmental pipeline.